The Montana Law Enforcement Testing Consortium (MTLETC) administers a written test and a physical abilities test in order to create a pool of candidates for the position of entry-level peace officer. 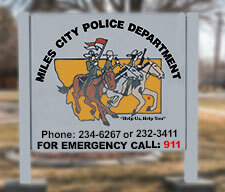 The following agencies participate in this process: The cities of Belgrade, Chinook, Conrad, Eureka, Fairview, Glasgow, Great Falls, Havre, Helena, Laurel, Livingston, Manhattan, Miles City, Ronan, and West Yellowstone; and the counties of Big Horn, Lewis & Clark, Mineral, Musselshell, Park, Powell, Toole, Valley and Yellowstone. In order to test, all candidates will be required to have a valid United States government issued photo identification/driver’s license, a minimum of a high school diploma or equivalent certification and be at least 18 years of age. 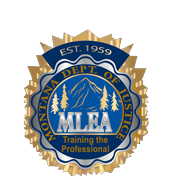 The Montana Law Enforcement Academy is the premier law enforcement and public safety educational and training institution for state, county, city and tribal officers throughout the state. The Academy offers entry-level programs referred to as Basic Programs and advanced training through an array of Professional Development Programs.